The Large Zenith Telescope near Vancouver is a monumental creation, a telescope a full six metres in diameter with a mirror composed of liquid mercury instead of a solid mirror like others. 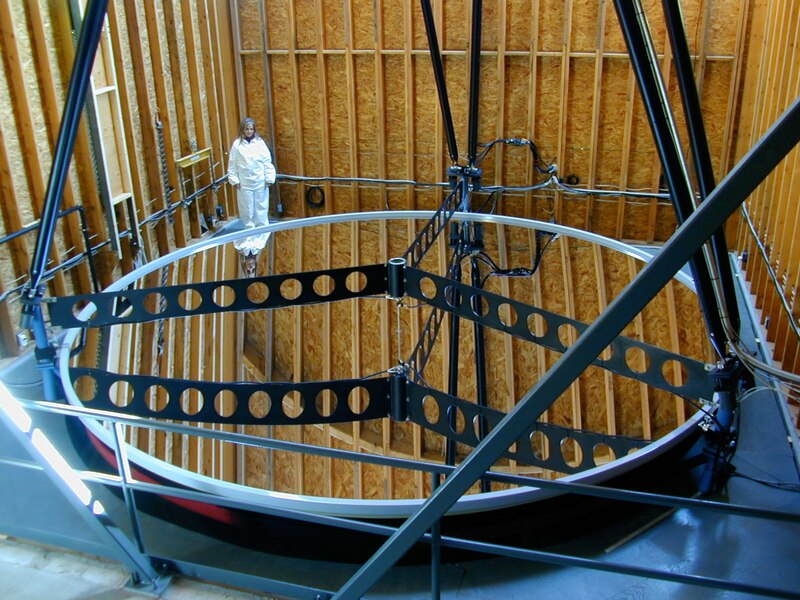 As a result it cost less than a single million dollars to construct, about 1% of what it would cost to build a solid mirror of the same size. Its location near Vancouver is far from ideal but it was built more as a demonstration of concept so this was unavoidable (the people that built it all live in the area), but the name isn't ideal. Liquid telescopes are not an entirely new concept but their construction and demonstration at this scale certainly is, and the fact that telescope mirrors can be created with liquids instead of just solid materials needs to be given more exposure...and the name Large Zenith Telescope just doesn't do it. Zenith refers to the fact that liquid telescopes look straight up (at the zenith), but looking at the zenith isn't what makes this telescope special, nor is it even a commonly used word outside of astronomy (I suspect many would think it has something to do with zirconium). So let's change the name. The new name is easy: the Large Liquid Telescope. Easy to remember, and now the name itself promotes the concept of a telescope with a mirror made out of liquid.